High quality standards in engineering | AWEC Aluminium Products, s.r.o. Our Quality Management System is certified according to ČSN EN ISO 9001:2016 for the branch: Engineering of supplies for the Automotive Industry. We transfer our experience to the needs of other divisions. All our products are subject to strict in-process control and final inspection. The newly established measuring departments are equipped with the most modern devices for hardness measurement, pressure testing up to a pressure of 200 kN, automatic 100% inspection of critical characteristics. 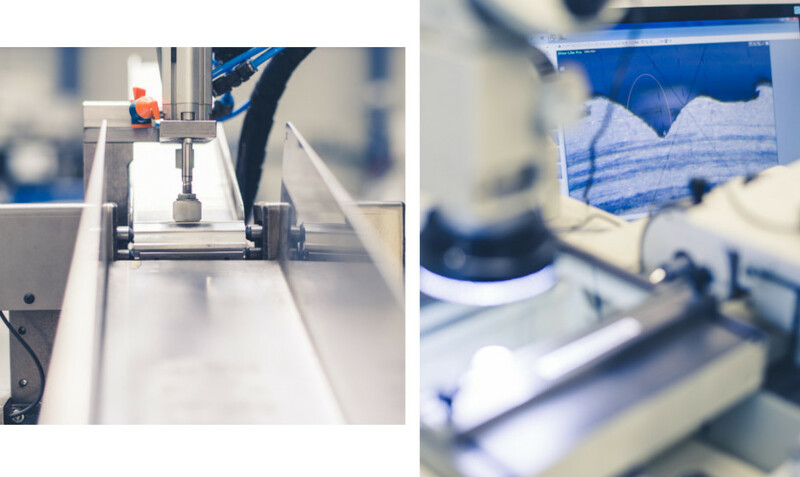 We dispose of special measurement equipment such as 3D Axiom too 1500 CNC or a digital optical microscope. We deliver our products including material certificates 3.1 and measurement reports according to the customers´ requirements. Initial sampling according to VDA, PPAP is standard. Experiences as Tier 1 supplier.